A voyage for everybody – trip on. Our voyages are run by instructors with a good solid experience in boardsports and voyages …they’ll take you to the best spots, the place you shouldn’t miss from any destination, and allow you to meet up with other people with the same passions for sport and voyages. 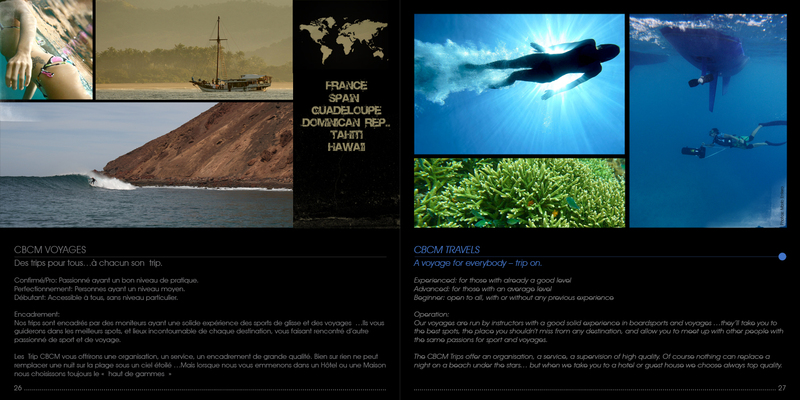 The CBCM Trips offer an organisation, a service, a supervision of high quality. Of course nothing can replace a night on a beach under the stars… but when we take you to a hotel or guest house we choose always top quality. We ask for a deposit of 15% for all bookings. For Yacht charters the entire cost must be paid at the latest 1 month before the trip.